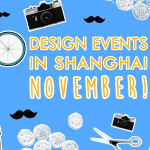 Since the Shanghainese winter doesn’t seem to give up and we all prefer to stay indoors protected from the low temperatures and rain WILDDESIGN is offering you a subjective list of interesting art, architecture and design related events in our beloved city. After all, at least the design scene is blooming here! March kicked off with GREAT Festival of Creativity graced by the Duke of Cambridge commonly known as Price William but there’s still more to go. Take a look at our list below and feel free to get back with your feedback. 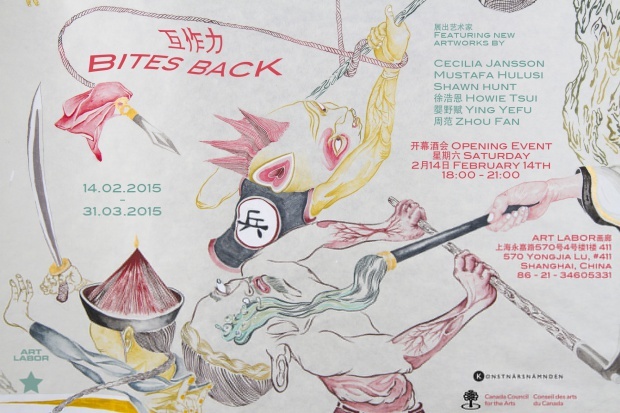 JUE | Music + Art Festival 2015 offers an offbeat and comprehensive insight into Chinese rock music scene. Followed by photography exhibitions and workshops, film screenings like the documentary on first Wham! 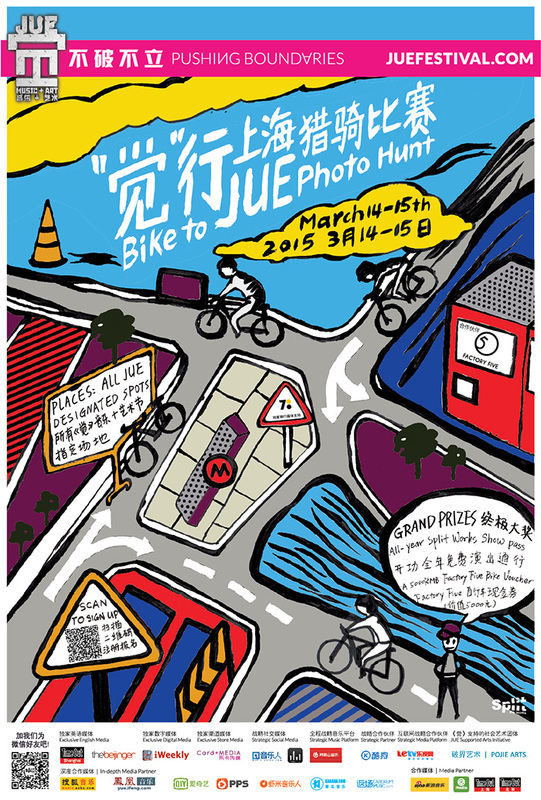 concert in China in late 80s and bike photo hunts is a not-to-miss event. 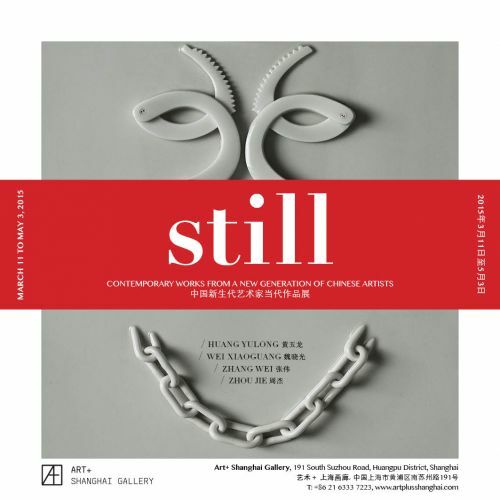 In Still: Contemporary Works from a New Generation of Chinese Artists. Art+ Shanghai Gallery is hosting four young Mainland Chinese artists in a group exhibition that celebrates the complexity of the contemporary’s Chinese young art movement. 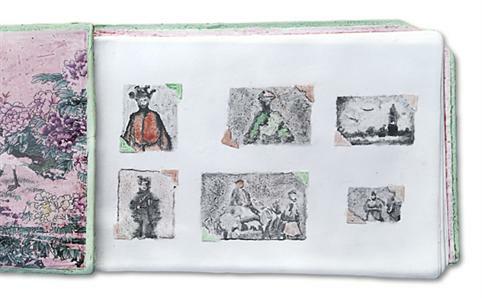 Temperature of Memory is a collection of old family portraits, paintings and ceramics recreating familial space by Zhang Weixing. Zhang pictured his own home and his own transformations by series of carefully selected photographs and ceramics. Burning Man Film Screening. Watch a movie about this amazing music and art festival which takes place in the middle of Black Rock desert in North Nevada. You can also find out more about upcoming Chinese version of this crazy festival called Dragon Burn which will take place at Tai Lake in June. 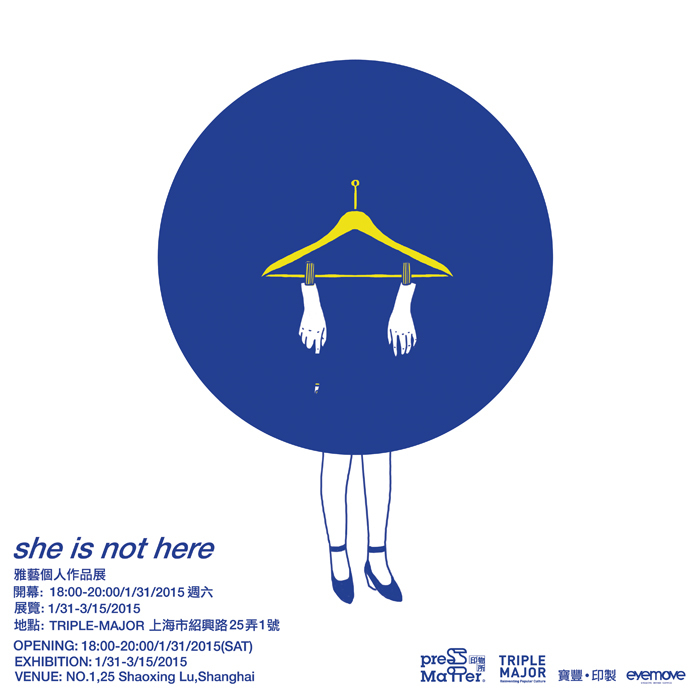 Ya Yi: She is Not Here is a small series of blue-yellow 9 works located at Triple Major fashion store’s 2nd floor. Still nice to come in and take a look if you’re passing by. I can’t be part of your revolution is an interesting combination of live performance, installation, video and painting representing human aspirations. 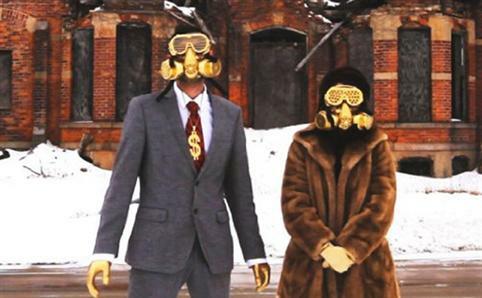 Detropia is a documentary about the decline of Detroit by Heidi Ewing and Rachel Grady. 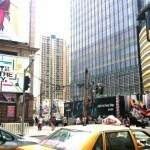 The films shows how it once flourishing city is becoming more and more deserted shadow of its own glory. 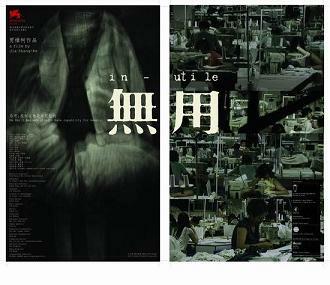 Useless by Jia Zhangke is his 2nd full-length documentary covering China’s fashion and clothing industry. Followed by a discussion led by Sabine Ichikawa, a French researcher based in Shanghai, with 30 years of experience in the fashion and luxury industries who is currently following the re-emergence of Shanghai as a fashion capital. At The Last Hang Out Night Market you will be able to get a lot of various DIY stuff like jewelry, clothing, food and a some vintage too. Don’t miss as it’s the last event of this series at DADA. 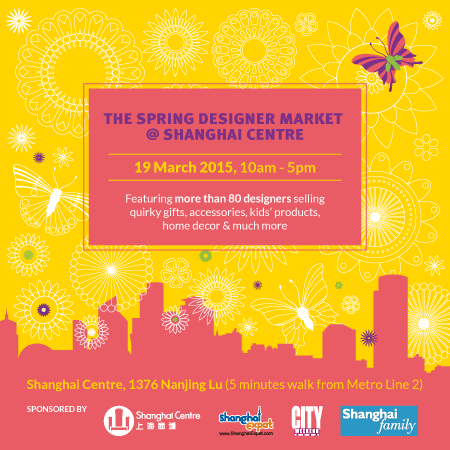 The Spring Designer Market – Shanghai-based vendors are going to offer you all kind of lifestyle products like home décor, gifts and accessories. Too bad it’s on Thursday. Fashion as Art. 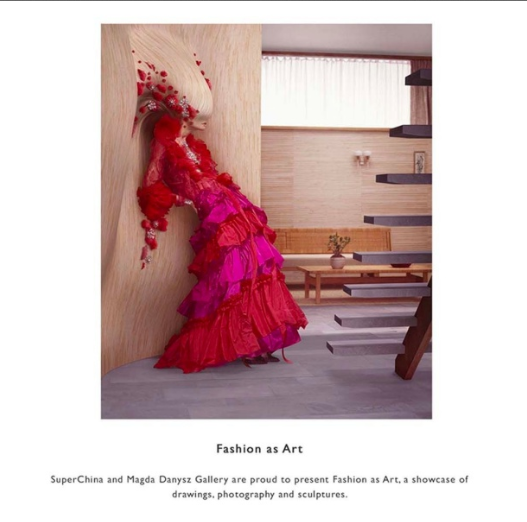 Expect drawings, photographs and sculptures representing meeting between fashion and art. Collection of sketches of Kenzo Takada, Pierre Cardin, Gianfranco Ferre and Thierry Mugler can attract all fashion lovers. Resilient Cities Forum is a part of Game Changers series run by Green Initiatives which is hosting their March forum on resilient cities. Teaming up with Arup Associates the event aims for a definition and factors making a resilient city and what roles play government, business and individuals in this process. 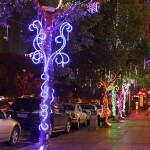 Design Shanghai Expo is one of the biggest design events held in China. This year’s edition expects more than 300 design companies showcasing about 700 new product launches falling into three categories of contemporary design, classic design and collectible design. 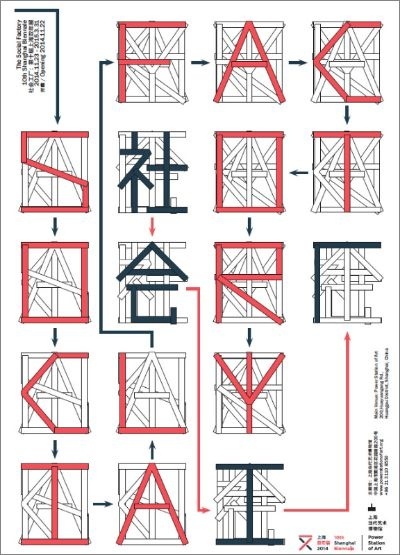 Social Factory: 10th Shanghai Biennale. Love it or hate it (spectrum of opinions on this exhibition is really wide) – this month you have the last chance to see this exhibition at Power Station of Art. 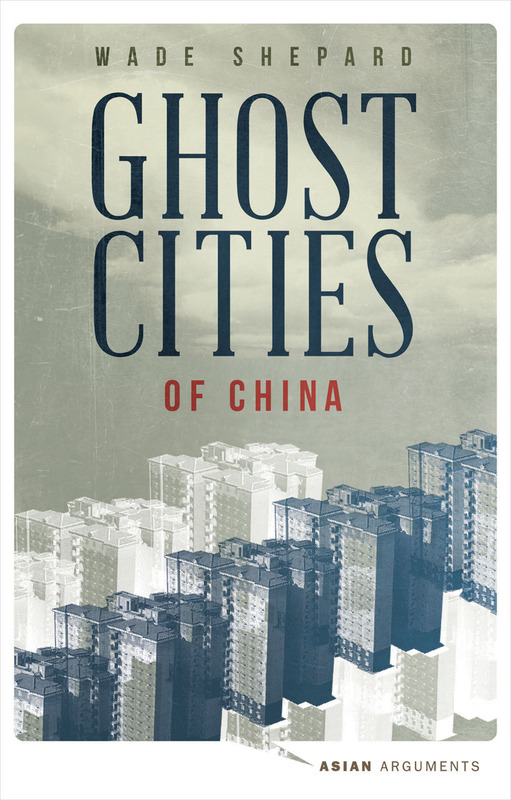 China’s Ghost Cities – Wade Shepard will speak about his book Ghost Cities of China: The Story of Cities without People in the World’s Most Populated Country. Bites Back is a group show presenting the process of devaluation of all sorts. Cecilia Jansson, one of participating artists, has just finished her residency at the famous Swatch Art Peace Hotel at the Bund. Michael Craig-Martin: 2015 China Tour. 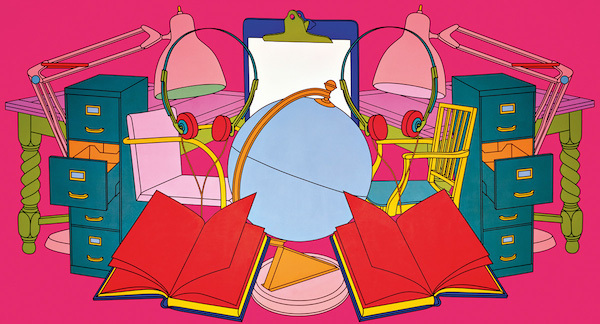 Craig-Martin is known for his vivid yet simple paintings of everyday objects. 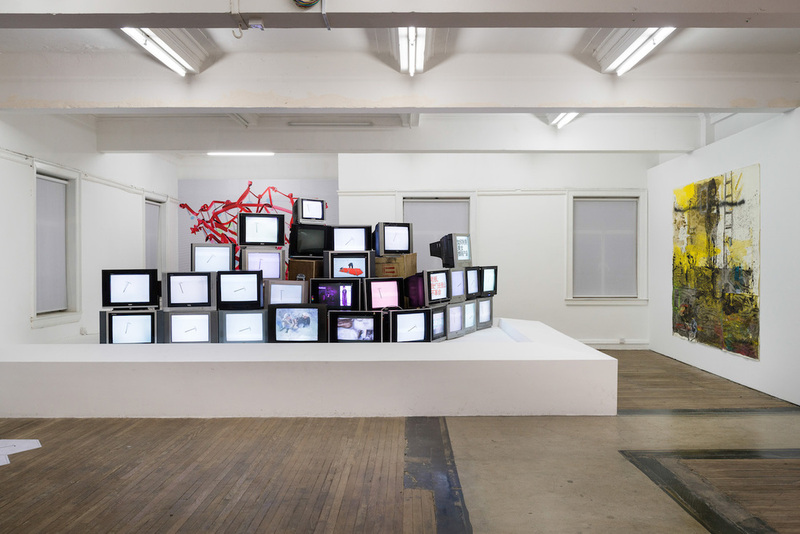 On Doing Laundry: The Idiot’s Guide to Undertaking Naughty Deeds and Getting Away With It is the newest exposition by M50’s Liu Dao collective featuring quirky LED a la gif paintings. 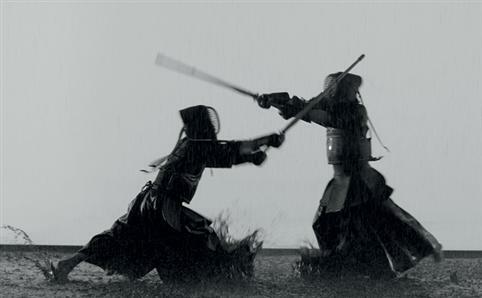 Yan: Yang Yongliang and his first ever feature film picturing life both as a dream one could never wake up to and as a dilemma one could never pierce through. 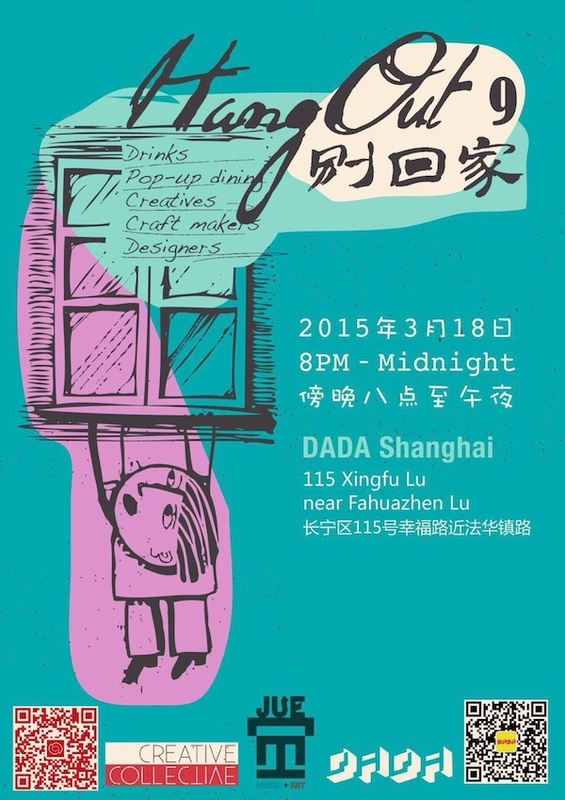 Expect also his illustrations of Chinese cities incorporated into traditional Chinese paintings. 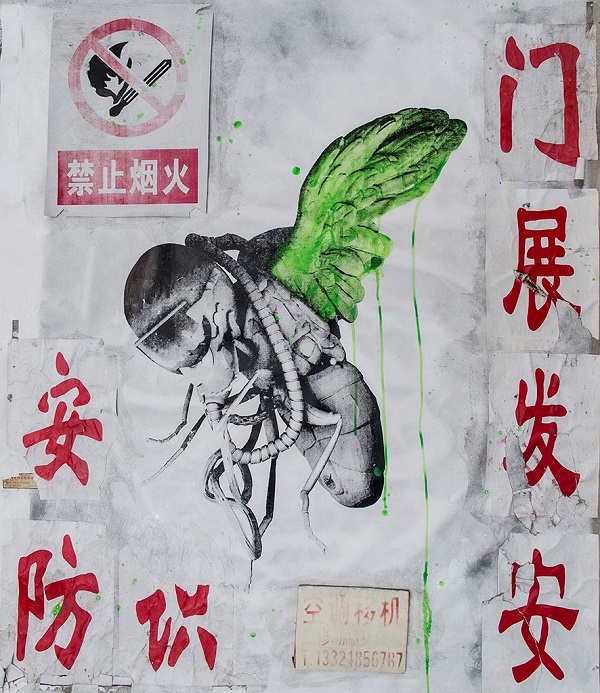 Popular French street artist Ludo presents his recent Shanghai work through sculptures and canvas which demonstrate his experiences, findings and adventures in Shanghai. Hope you liked our first monthly events selection. Stay tuned and let us know if you attended and enjoyed the events! 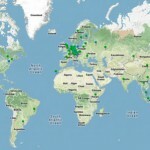 Who reads our News and where are they located? An ambitious designer with invaluable thoughts and creativities.